One of Canadas most picturesque residential areas. Bordered by Burrard Inlet to the south and Howe Sound to the west, West Vancouver is along the lower slope of Hollyburn Mountain thats between Capilano River Valley and Horseshoe Bay. Here you will find some of Vancouvers most expensive and stately homes. 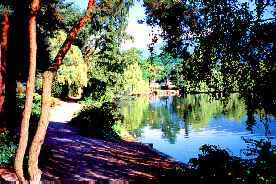 The city of West Vancouver has ample park and recreation land. 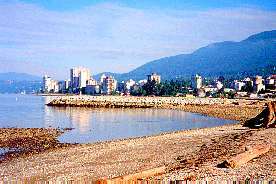 West Vancouver offer hotels and motels as well as good camping sites. Summer temperatures average 17C (63F) and winter temperatures average 3.1C (38F). West Vancouver council unable to attract industry because of the sleep slopes and lack of harbour facilities, in 1925 they declared the municipality an industry-free zone. West Vancouver, British Columbia is just west of Lions Gate Bridge, that crosses Burrard Inlet via Hwy 99. 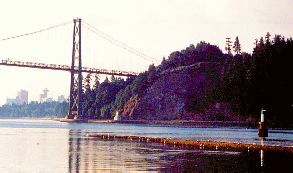 Or, cross the Inlet from Vancouer via the Second Narrows Bridge on Hwy 1. From Vancouver Island take one of the many BC Ferries to Horseshoe Bay. Sea walls and walkways along the shoreline; marina facilities; golfing; hiking; biking; downhill and cross country skiing; snowshoeing and winter-hiking; snowmobiling; shopping and dining. Cypress Provincial Park; Ambleside Park; Lighthouse Park; Whytecliffe Park; Dundarave Hoe Down (August).